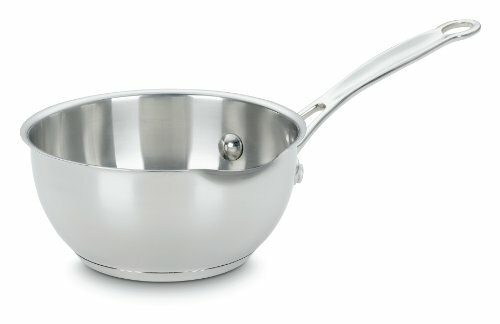 Cuisinart 735-16OP Chef's Classic Stainless 1-Quart Pour Saucier by Cuisinart at Baking Love. MPN: 735-16OP. Hurry! Limited time offer. Offer valid only while supplies last. The 1 Quart Open Pour Saucepan features a handy pour spout on the rim to eliminate drips and spills and includes handy measurement markings. The 1 Quart Open Pour Saucepan features a handy pour spout on the rim to eliminate drips and spills and includes handy measurement markings. Perfectly sized to handle all of your everyday kitchen tasks, it gracefully warms butter, melts cheese sauces, and more and is induction ready!